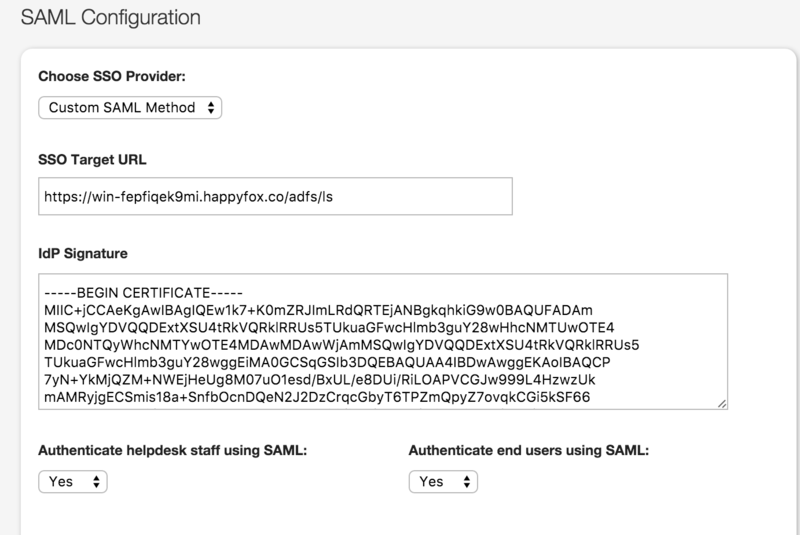 HappyFox supports SAML based single sign on with popular cloud providers like Onelogin, OKTA or your own custom SAML provider. This is available on the Mighty, Fantastic and Enterprise plans in HappyFox. HappyFox also supports single sign on from a self hosted ADFS that could be hosted within your network. 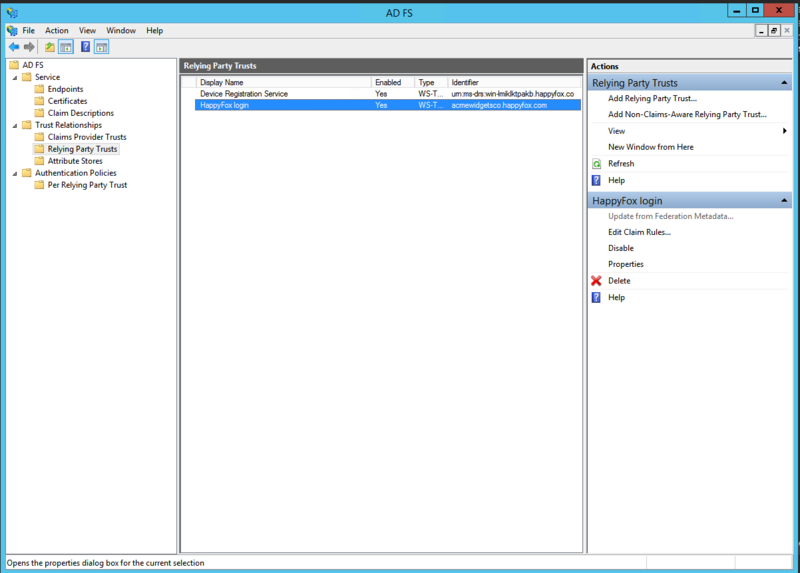 ADFS is a service provided by Microsoft as a standard role on Windows servers such that a web login can be provided for the users on Active Directory. Important: Please note that the Account: acmewidgetsco (acmewidgetsco.happyfox.com) we have used in this article is a Test Account for reference purpose only. Please replace it with your HappyFox account name. 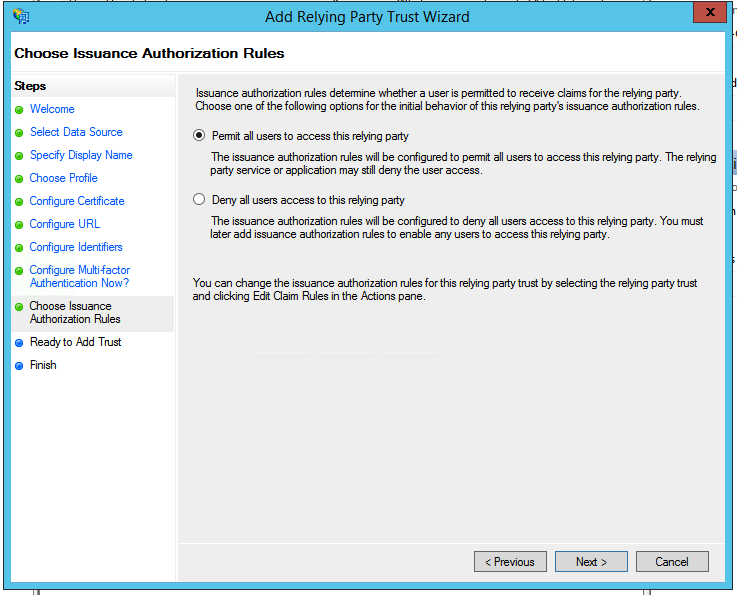 This is the first step that needs to be done if you don't have your ADFS and AD configuration done already. 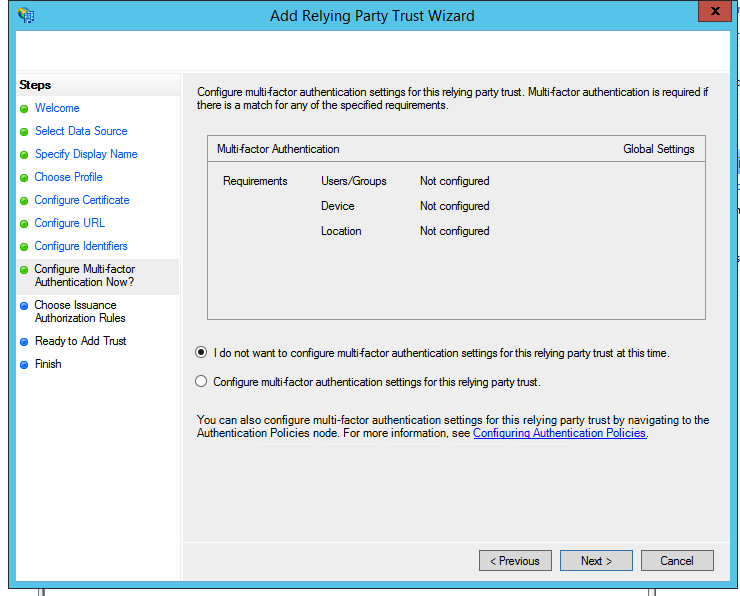 You can refer to this article for more information on how to configure ADFS. 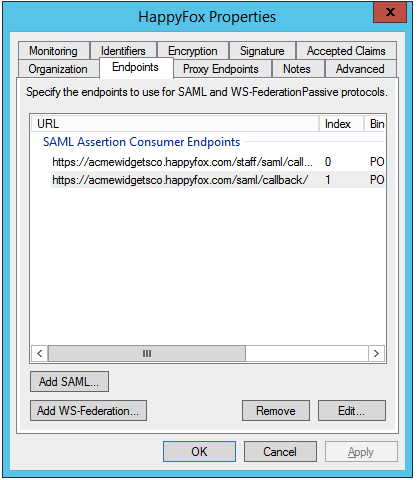 When you have a fully installed ADFS installation, note down the value for the 'SAML 2.0/W-Federation' URL in the ADFS Endpoints section. 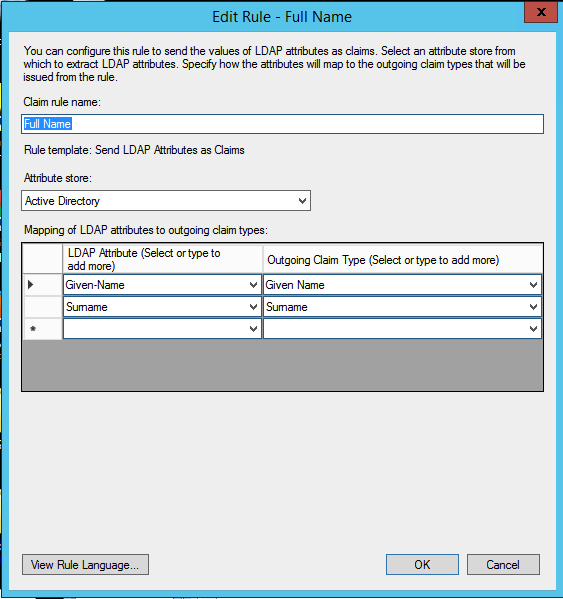 If you chose the defaults for the installation, this will be '/adfs/ls/'. You should see a wizard screen like this. 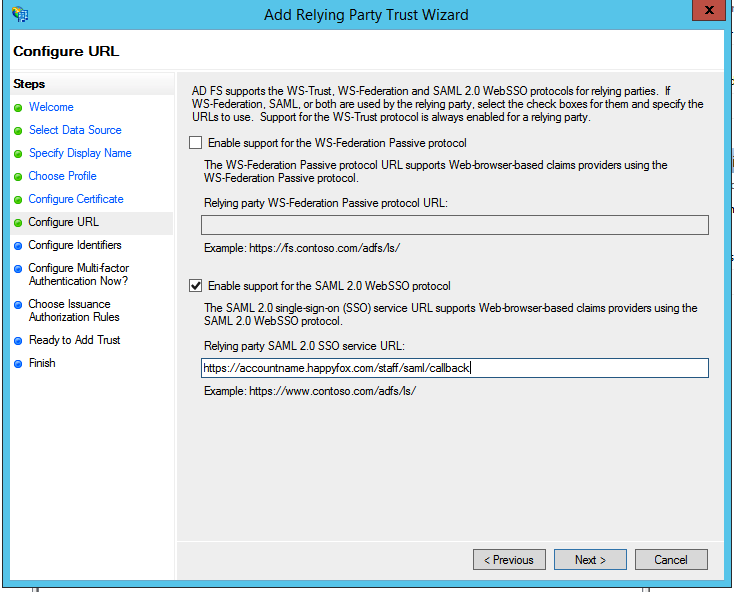 Click on Start to start the process of adding a relying trust party. 2. Enter a display name here, one which you can identify at a later stage, and press Next. 3. 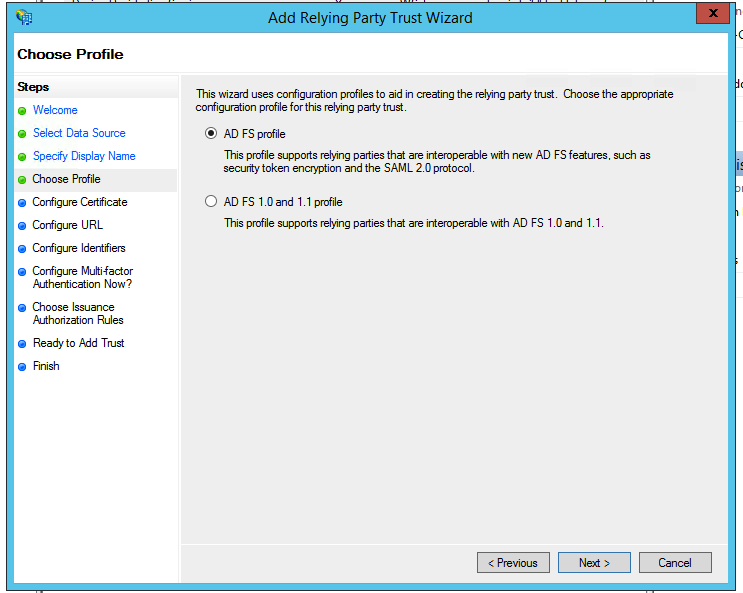 On the next screen, select the ADFS FS profile radio button and press Next. 5. 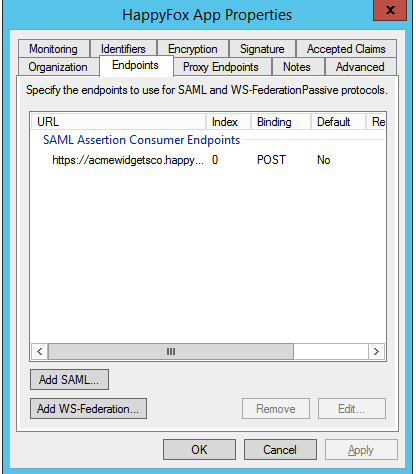 On the next screen, check the box labeled Enable Support for the SAML 2.0 WebSSO protocol. The service URL will be https://<accountname>.happyfox.com/staff/saml/callback, replacing <accountname> with your HappyFox subdomain. Note that there's no trailing slash at the end of the URL. 7. On the next screen, you may configure multi-factor authentication but this is not something we will be covering in this article. So, you can chooose "I do not want to...." and press Next. 9. On the next two screens, the wizard will display an overview of your settings. 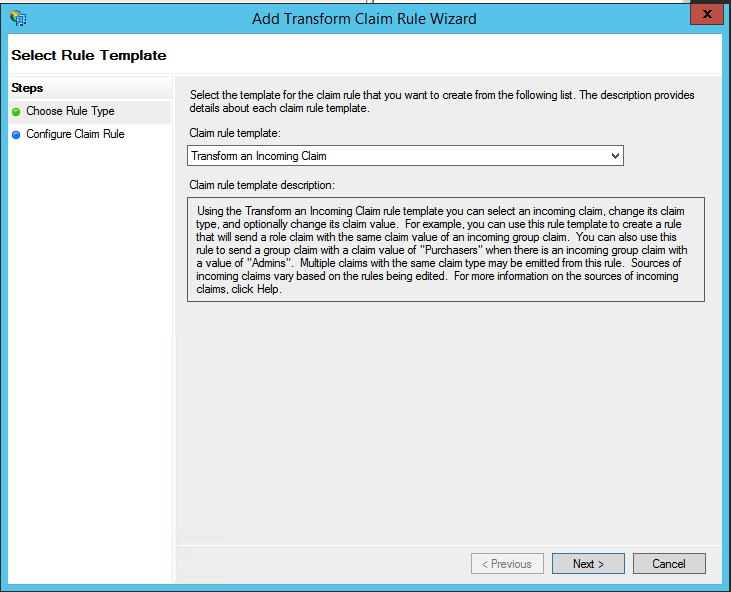 On the final screen use the Close button to exit and open the Claim Rules editor. 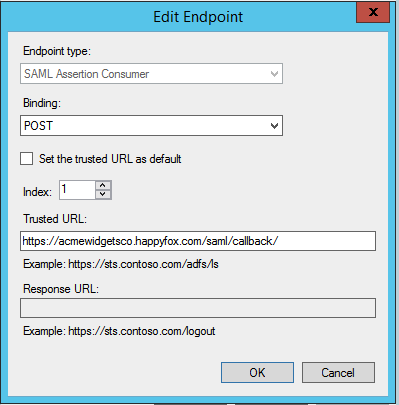 You can do the following steps if you wish to have ADFS based authentication for your staff and end users on HappyFox. Click OK to save the new end point. The endpoints tab should look like this(screenshot below) once you have added it. That's it! You can now have your end users and staff login to the respective accounts automatically when the signin to the HappyFox application from the ADFS homepage. Note: If the same email ID exists in a HappyFox account as both - customer and staff, then preference is given to the staff account. HappyFox will redirect the user to the staff panel. 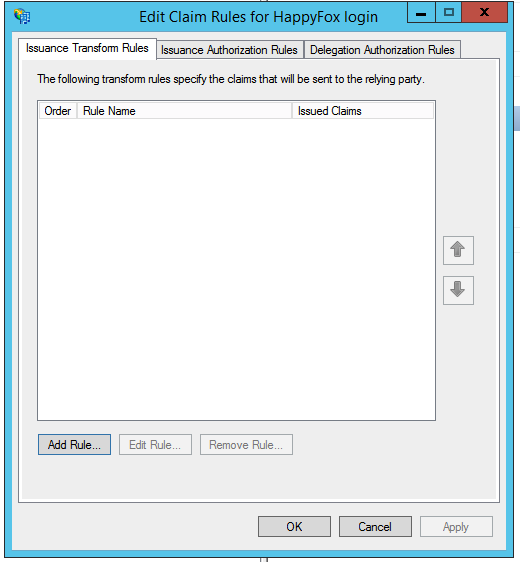 The claim rules for this relying trust has to be set up now. 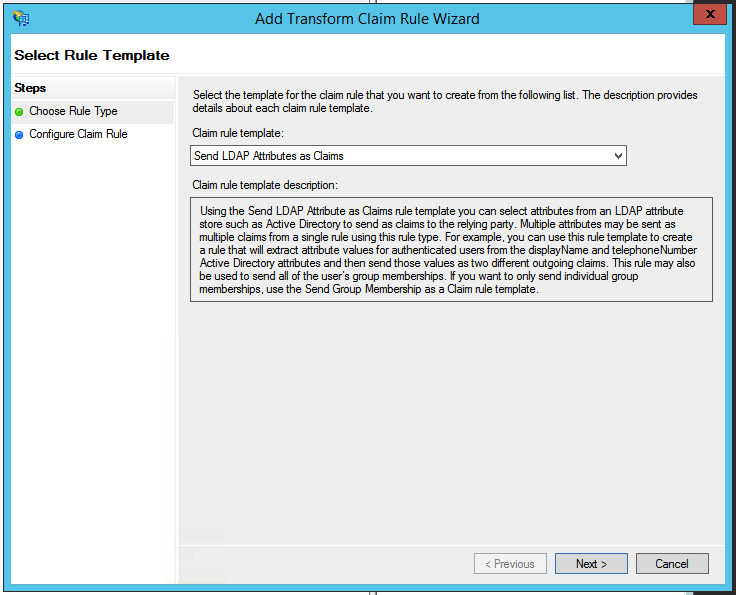 By default the claim rule editor opens once you created the trust. 6. 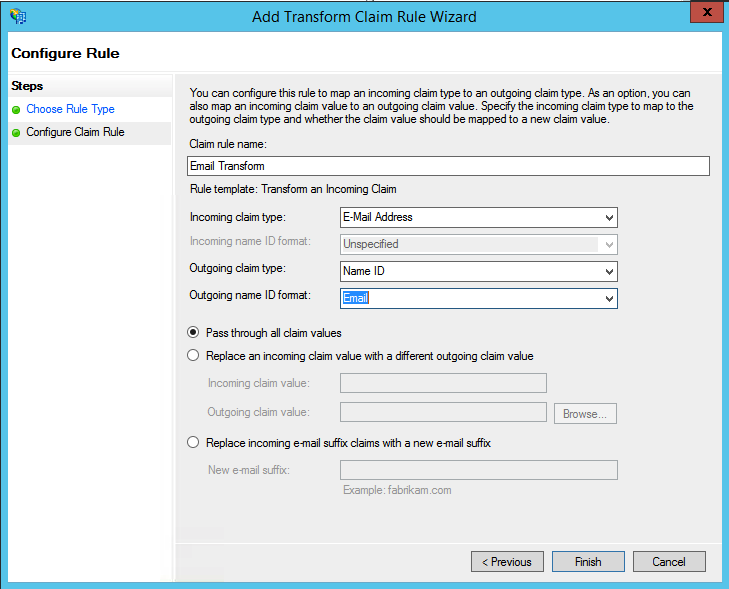 Finally, click OK to create the claim rule, and then OK again to finish creating rules. 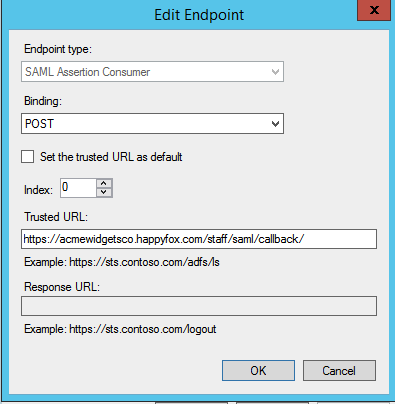 If you have end users also authenticated through ADFS, you will need to set up the following claim to fetch the name of the end user from Active Directory and map it to the name of the contact in HappyFox. Some more settings and properties need to be tweaked. 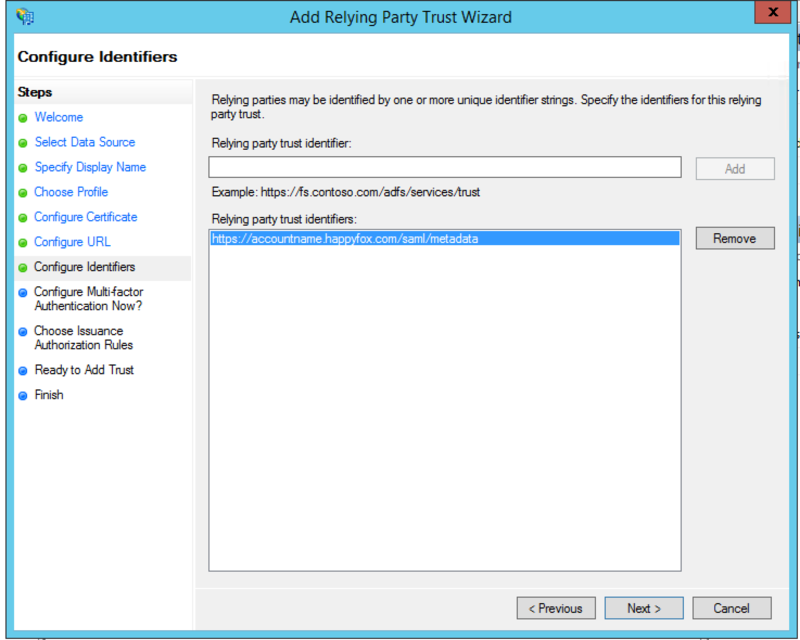 To access these settings, select Properties from the Actions sidebar while you have the Relying party trust selected. 1. 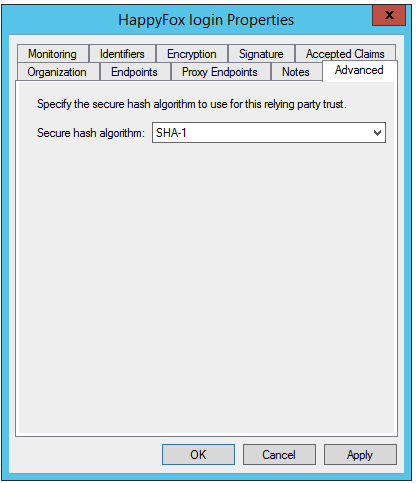 In the Advanced tab, switch from SHA-256 to SHA-1. 2. Confirm that there is an entry in the Endpoints tab, like shown below. This will be automatically added. 3. 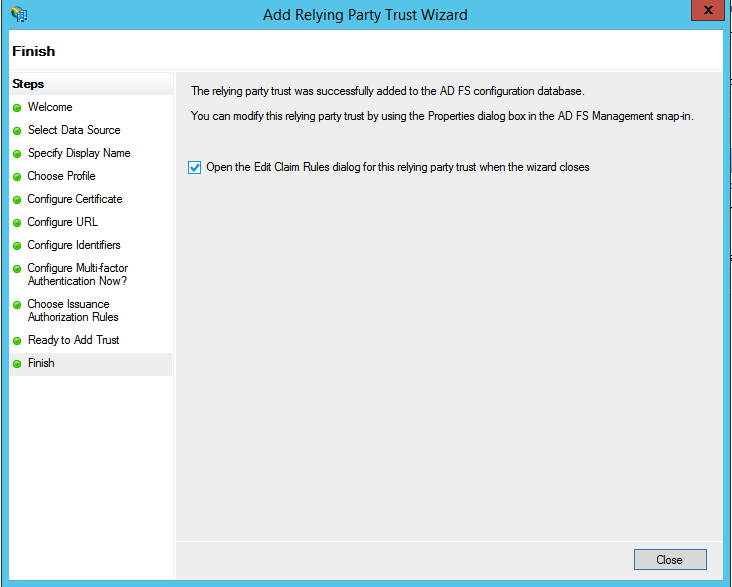 Confirm you changes by clicking OK on the endpoint and the RPT properties. 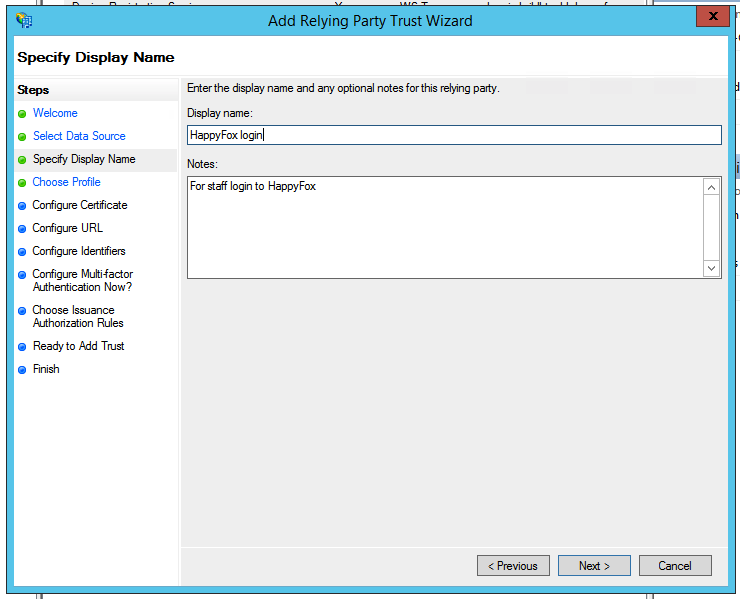 You should now have a working RPT for HappyFox. 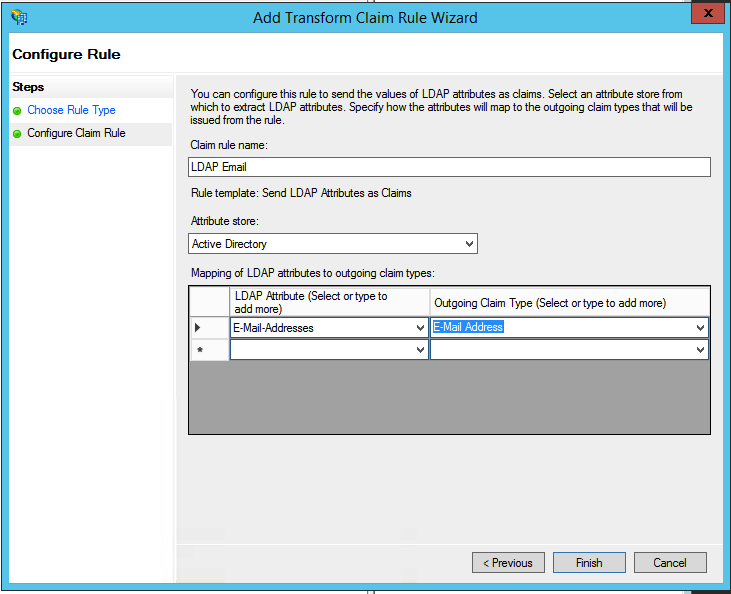 Enter the ldp signature in the box provided below. Once this is done, you can save the form. 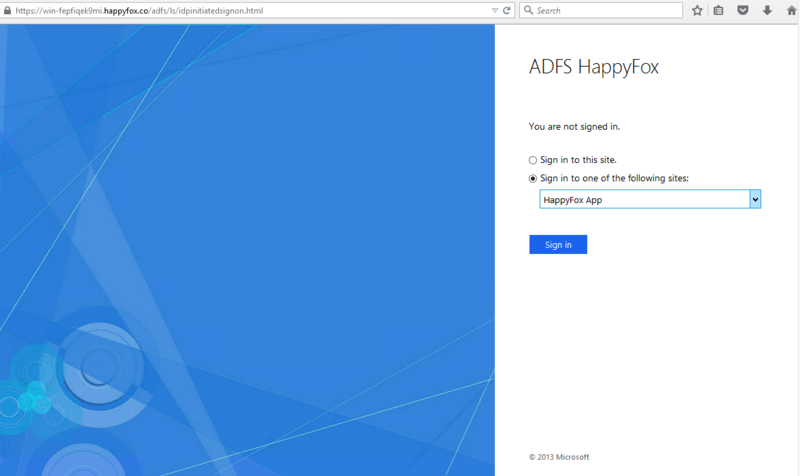 This completes the set up of single signon with HappyFox and ADFS. 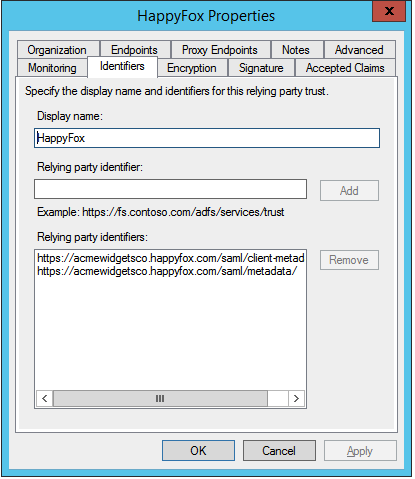 Your staff can then sign into HappyFox from their local domain signin page, using their Active Directory credentials. Keeping server time in sync: We have seen in some cases the time from the originating server having a mismatch with NTP time, which could cause some errors. HappyFox server time is in UTC and uses NTP servers to keep the time up to date. We recommend keeping your servers in sync with a remote NTP server. In case you are continuing to run into issues, you can increase the time gap allowed by running the following command in Powershell and restarting ADFS. 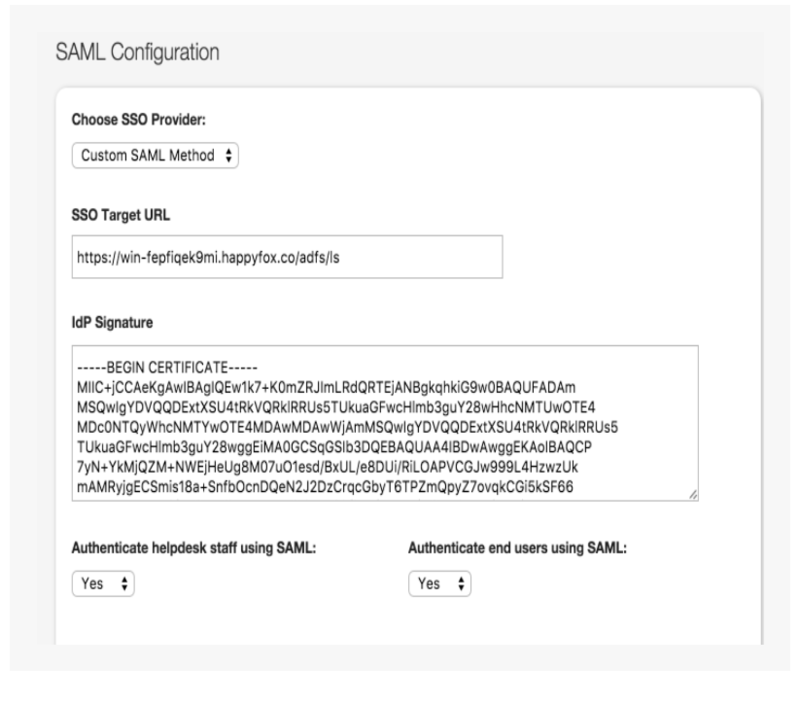 The content of the file needs to be opened in a Text Editor and it should be pasted as per your screenshot under Manage>>Integration>>SAML>>IdP Signature.